Global sensation Taylor Swift charmed BC Place on Saturday night, though it was hardly a tough gig in front of 45,000 screaming, adoring fans. The mega pop star made them feel like they were old friends catching up, saying: "We live in different parts of the world, but with Twitter and Instagram I can keep up with you." Swift, 25, opened with "Welcome To New York" before launching into some of her other hits. 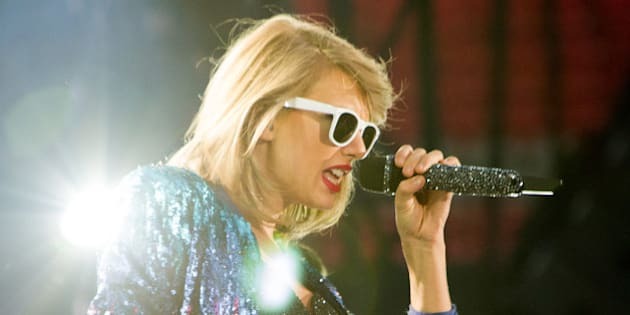 The Vancouver stop is part of the singer's "1989 World Tour," in support of the best-selling album that spawned three number one singles, including the infectious "Shake It Off." Swift performs two concerts in Edmonton next week before travelling to the U.S., Singapore, China, and Australia.